Amanda Williams, Client Partner, Korn Ferry, and Australia Chair, AESC, will share insights on the profession in an era of widespread disruption and lightning-fast change. Amanda Williams is a Client partner at Korn Ferry's Sydney office. Ms. Williams joined Korn Ferry from another leading search company, where she was lead partner of the financial leadership (CFO & CRO) and insurance practices. She started her career with Ernst & Young where she worked in the banking and financial services industry sector in the United Kingdom, Canada, and Australia. As her chartered accounting progressed, she became a recognized Credit Risk specialist. 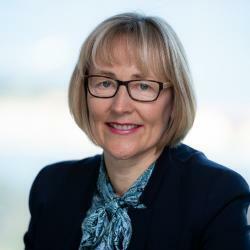 She has led searches for some of Australia's leading ASX listed organizations and, with her focus on diversity, has developed a reputation for helping clients address issues surrounding a lack of diversity in leadership. She has worked with organizations to identify high potential diverse talent and facilitated client workshops on how to deal pragmatically with, and to respond to, some of the challenges associated with the current lack of diversity. Ms. Williams holds a Bachelor of Arts (hons) in economics and politics from the University of Reading (United Kingdom) and is a chartered accountant with the Institute of Chartered Accountants. In the past 15 years, internet recruiting has been dominated by professional networking sites, but changes are taking place in online candidate behavior and recruiters need to know how this is going to impact their profession in the near future. In 2018, recruiters need to know how to find and connect with candidates outside of the sites that they have become so dependent on. They need to know the next practices for sourcing and recruiting–best practices won't be enough anymore. In this session, you will learn how to: Examine the changes taking place with professional networking sites; Show recruiters and sourcers the other options available for finding candidates; Fast sourcing ideas to make locating candidates off the beaten path easier. How can we connect with each other? How can we accept an offer, process it quickly, and return, building upon that offer, with our own? How can we maximise our vocal technique to help effectively engage and communicate, regardless of the content we are relaying? How can we build long lasting relationships in the smallest window of opportunity? In the Moment Improv is an interactive session which will help us break down communication barriers, in the most enjoyable fashion. With the clarity and focus that comes from creative thinking, active listening, brainstorming, teamwork and play, we will emphasize the importance of being "in the moment," and lay the foundations for improved communication with the world around us, no matter what the situation. 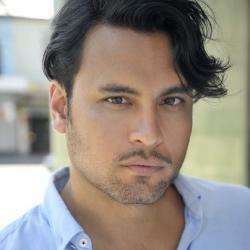 Dorje Swallow is a NIDA graduate, Law and Film Graduate and John Curtin College of the Arts Graudate, who has worked professionally as an actor and voice-over artist for over 25 years. 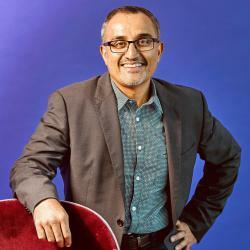 For television, he has been the voice of SBS Channel for 12 years and NBC Universal Channel Australia for 5 years. He has worked extensively in Theatre, Television, and Feature Films, and also specialises in Corporate Education in the Art of Communication. This will be his first conference for AESC. We all like to believe we are fair in our decision making. Bias, prejudice, and discrimination are all issues for other people. This interactive session challenges those assumptions. An unconscious bias specialist will help us start to identify how our brains might automatically filter out potential candidates without us being aware that we are doing so. You will leave with a number of practical tools to help you outsmart bias. Digital Transformation is revolutionising the world of business. New technologies are causing us to rethink what we know, change how we engage, and reimagine how we work. Executive Search is not immune to change. New technologies mean we can work faster and smarter. Digital Transformation challenges notions of leadership and leads to the development of new roles. This expert panel will explore digital transformation and it’s impact on leadership. 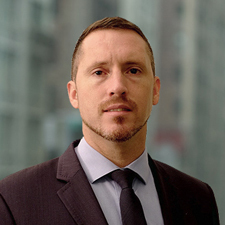 Patrick Rooney, Managing Director, Asia-Pacific and Middle East, is based in Hong Kong. He also holds responsibility for AESC education programs for researchers and associates. Before joining AESC in 2013, Patrick was an executive search consultant with a boutique firm in the higher education sector. He worked on a number of senior academic appointments in: Australia, New Zealand, Hong Kong, Macau, China, Singapore, Thailand, Malaysia, the UAE, Kuwait and Pakistan. Patrick was also responsible for overseeing a team of search consultants and researchers. With 18+ years of sustained and proven success delivering high-value consulting, BPO and technology solutions, Cynthia focuses on driving mutually beneficial results through direct engagement with key clients and stakeholders while building sustainable, high performance teams. 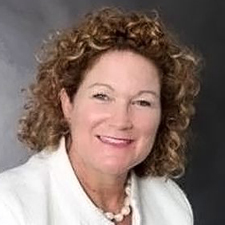 She is an enterprising, results orientated, hands-on executive delivering business outcomes for her clients in the Public Sector, Financial Services, Telecommunications, Aerospace and Defense, Travel & Transportation, and Oil & Gas industries. Her specialties include Organisation Strategy, HR Operating Model, Learning and Development, Performance and Employee Experience Design. 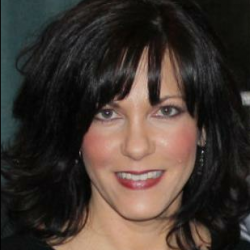 Cynthia has held various leadership roles over the years working for IBM. Her most recent role was as the Australia/New Zealand Territory lead for IBM’s Cognitive Process Solutions business. In this role, Cynthia worked with clients to move beyond “POCs” to make the future of work real through the use of AI, automation, mobile, cloud and analytics. Cynthia first joined IBM in the United States in 2002 as part of the IBM acquisition of PWC Consulting. In 2005, she moved to IBM Australia to start up the HR/Learning BPO business in Asia Pacific which experienced rapid growth in its first 18 months with key wins in Japan, Korea and China that generated greater than $25M in annual revenue from an initial base of $7M. After establishing the business across Asia Pacific, Cynthia became the HR Practice Leader for Australia and New Zealand landing the first major HR BPO client in Australia for IBM with a total contract value of $40M. Cynthia is a patent holder for a cloud-based CRM application that leverages data from multiple ERPs and user-generated inputs to enable tailored support and mentoring. Cynthia's application is currently used by the United States Army to support more than half a million soldiers and civilians engaged in training around the world. As Digital Partner at Cognizant for Manufacturing, Logistics, Energy & Utilities, Stephen leads strategic engagement with top clients in this sector. Working as an insightful digital ‘sherpa’ and master facilitator, he enables clients to create a clear business vision and roadmap, and build the required strategy, operations, IT capability, leadership, culture and employee engagement to achieve it. Through a holistic approach that addresses strategy, people, process, data and systems, Stephen helps clients harness the power of technology to drive business innovation and transformation. He brings a powerful combination of strategic insight, design thinking, leadership alignment, cultural change and implementation discipline to lasting client partnerships. Stephen's unique skillset, acquired through investment banking, technology, management consulting, creative agency and executive leadership roles in Australia, the US and Europe, allows him to see multiple ways to create value for clients. He helps bring together many perspectives around the leadership table - from business strategy to IT, marketing, operations and people/culture - to create a unified context and commitment to succeed. As client and consultant, banker and borrower, investor and CEO, he has built, bought and sold several businesses, and been involved in a number of start-ups in the digital, concrete reinforcement and professional services sectors. Stephen is also an accomplished author and public speaker. His book “It’s a Dog’s Job (But Someone’s Got To Do It)” offers a cheeky, mad-dog look at the world of management consulting. Consultants will discover the tricks and traps of canine career survival and clients can learn how to get consultants to heed their Master’s voice and deliver the juicy results they pay for. Dig up all the details at: www.itsadogsjob.com. Vishy is an accomplished digital transformation executive with compelling expertise across marketing and technology, strategy and implementation. He has held leadership roles in high profile ASX listed companies and blue chip professional services practices as well as in innovative start-up businesses. As Partner and Chief Digital Officer at PwC Australia his role is to drive change and help strengthen PwC’s innovative culture and the digital mindset across the whole of the business and deliver even better value for our clients by making the right investments into the future. Prior to joining PwC Vishy was Global Head of Digital Technology Services at Cochlear where he initiated and led the transformation of online customer engagement on an international scale. 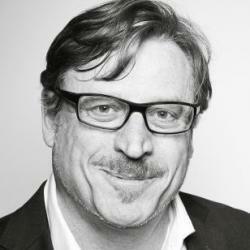 John Whiting is an industry leader with more than 20 years’ experience in executive search and talent consulting. 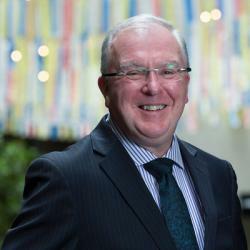 He specialises in transformational leadership roles including CEOs and COOs, as well as CIOs, CTOs and CDOs. While he has particular expertise in technology, John also places high calibre executives in healthcare, banking, industrial, professional services and other sectors. Exchange best practices around the challenges and opportunities in executive research. This open forum offers an opportunity to discuss operational issues as well as trends in executive search and leadership consulting. Patrick Rooney will lead the session by moderating a panel discussion on the future of the profession. Catherine is the powerhouse behind the Omera Partners team as Partner, Organisational Development and Talent Acquisition. Catherine was first attracted to the role because it provided a unique opportunity to put into practice what she had learned about attracting and retaining great people throughout her career. Taking it one step further, she now gets to work with the results every day at Omera Partners. Catherine's role deals with the issues that have a direct impact on the culture and bottom line of the company, and she enjoys being at the cutting edge of the strategic direction and growth of the firm. Catherine has enjoyed more than 20 years in Executive Search (Financial Services) culminating in becoming a Partner for one of the 'big 5' top tier global firms. She enjoyed regional (Asia Pacific) responsibility for managing businesses and growing teams for at least 15 of those years as either an employee or in her own business. Her experience has provided her with a global network of industry professionals, an understanding of the pros and cons of different styles of organisations and their commerciality. In all, she applies her collective wisdom to the staffing of Omera Partners, continuing to build and to grow a strong and resilient global business. With an industry background that includes Professional Services and Telecoms, Nick advises, recruits, and helps retain outstanding talent for Digital, Technology, and Services businesses. Nick is a member of the Digital Transformation practice, helping clients build capability across their channel, marketing and technology teams. Nick joined Russell Reynolds Associates from Telstra, where he was General Manager Corporate Strategy. Prior to this, Nick was a Manager with A.T. Kearney, a leading management consultancy. 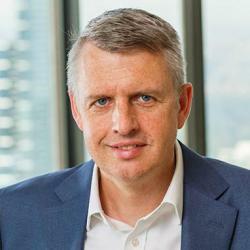 In his four years at A.T. Kearney, in both Australia and the United Kingdom, he completed a wide range of strategy, change management, and procurement projects with a particular focus on the telecommunications industry. Nick received his bachelor's degree in engineering from Sheffield University and graduated first in his M.B.A. class from Warwick Business School. He is also a graduate of the Royal Military Academy Sandhurst, Staff College. Nick served for seven years as an Officer in the British Army, where his responsibilities included leading the professional training of all Officers joining the Royal Engineers. Darryl Mills has been in the search and selection industry for over 20 years initially in the UK before relocating to Australia 18 years ago. She is currently Director of Research at Hattonneale. Her experience has covered a broad range of industries that has included deep sector knowledge in the asset management, financial services, resources, energy, infrastructure, construction, engineering, professional services, higher education, industrials, not-for-profit, and technology sectors. 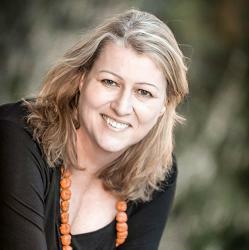 She has spent 11 years specialising in executive search research. Darryl has grown and led research teams responsible for developing and providing industry best practice research solutions on challenging and international assignments. In recent years, she established an industry-wide Researchers & Associates Group with other leading executive search firms in Sydney who meet regularly to share information and ideas on industry Best Practice. Amanda Williams is a Client Partner at Korn Ferry's Sydney office. Ms. Williams joined Korn Ferry from another leading search company, where she was lead partner of the financial leadership (CFO & CRO) and insurance practices. She started her career with Ernst & Young where she worked in the banking and financial services industry sector in the United Kingdom, Canada, and Australia. As her chartered accounting career progressed, she became a recognized Credit Risk specialist. 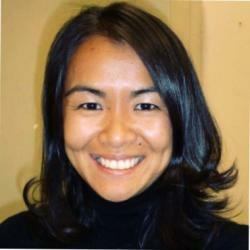 She hold expertise in financial services sector, and a strong sales and account management. 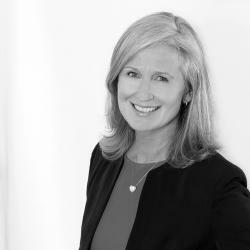 She has led searches fr some of Australia's leading ASX listed organizations and, with her focus on diversity, has developed a reputation for helping clients address issues surrounding a lack of diversity in leadership. She has worked with organizations to identify high potential diverse talent and facilitated client workshops on how to deal pragmatically with, and to respond to, some of the challenges associated with the current lack of diversity.